When planning my Ireland trip, I was surprised to continually see that Killarney has a reputation for being touristy and charmless compared to its nearby neighbors of Kenmare and Dingle, and while that reputation isn’t exactly unwarranted since Killarney is much larger than those two towns, you also don’t want to completely cross Killarney off your itinerary. When something is touristy always remember why it’s considered touristy, especially when short on time. 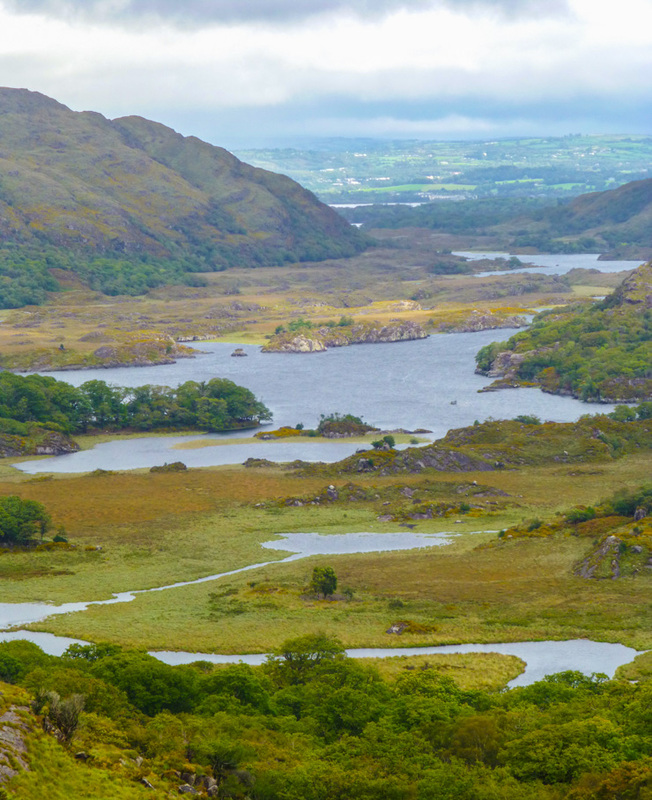 There’s usually a reason and it usually has to do with convenience or a popular sight — Killarney ticks both those boxes. Here’s why you’ll want to make sure you spend at least one day in Killarney exploring the city and its surrounding area. 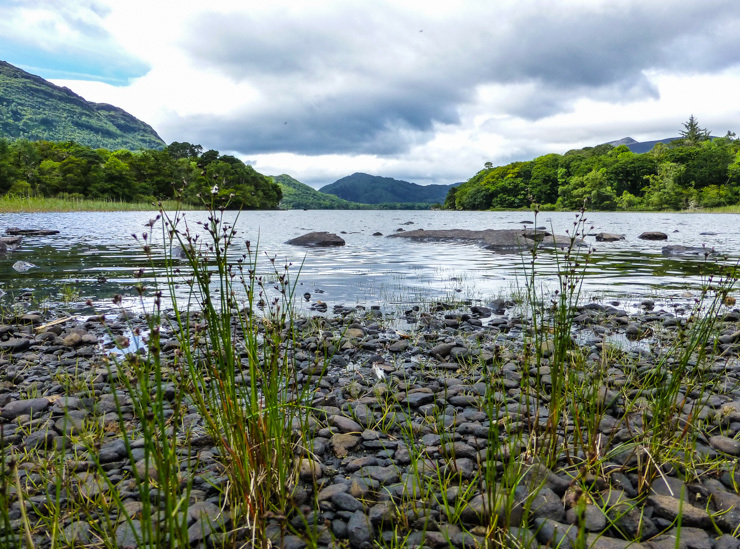 Killarney is home to the GORGEOUS Killarney National Park. 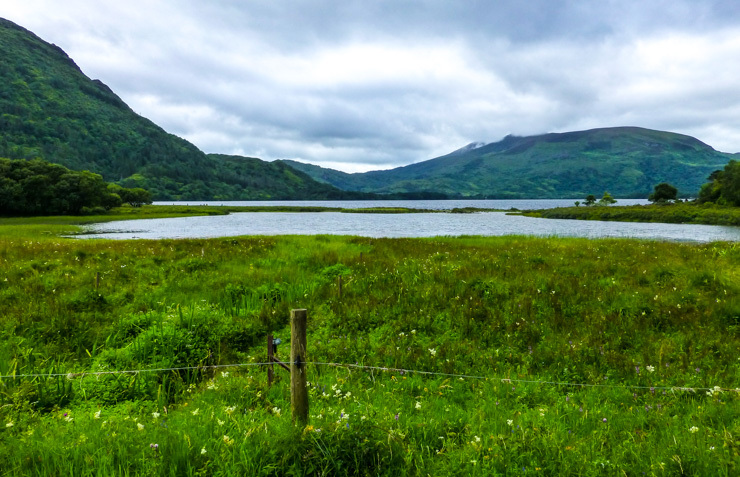 In the case of Killarney, staying there for a couple nights puts you right next to some of Ireland’s most popular sights, including the Ring of Kerry, Muckross House, Torc Waterfall, and more. As for being charmless, well – that’s a bit ridiculous to me because it’s Ireland! 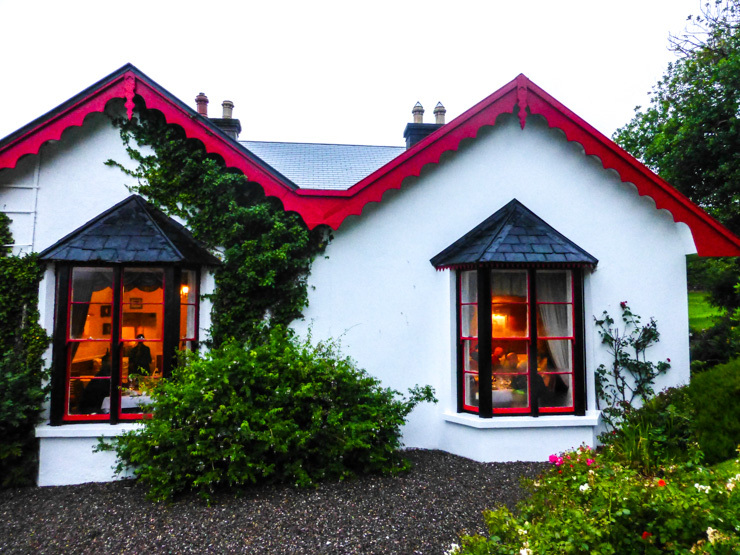 Trust me, you can still find quaint buildings, friendly locals, and beautiful scenery in Killarney. Here’s what you’ll want to see around Killarney, plus where to eat and sleep while there. One Day in Killarney includes lots of sights like this. A big draw of staying in Killarney is being in close proximity to Killarney National Park, which is technically part of the Ring of Kerry. I think you should split this part out from the rest of the “ring” though, because driving the Ring of Kerry in and of itself is a long day, and you won’t have time to adequately explore the sights of Killarney in the same day as the drive. A side angle of Ladies View. The winding water shot that makes Ladies View famous. Head to Molls Gap next for more views before the traffic picks up – you’ll be able to actually get a quick parking spot at one of the many scenic lookout points fore some photo ops. Molls Gap is basically a small drive along the Ring of Kerry on the way to Kenmare, but doing it now as opposed to when you do rest of the loop means more time to enjoy the views (and more time to explore other parts of the Ring of Kerry when you do that drive). I love the town of Kenmare, but think you should save that for your Ring of Kerry day. 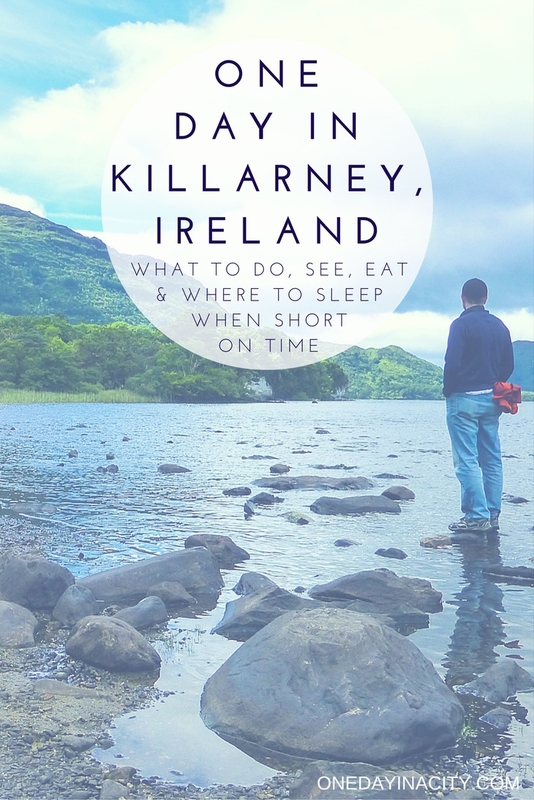 For today, your one day in Killarney, turn around after Molls Gap and head back north to the next part of your day, taking in the gorgeous views from a different angle on the return trip. The weather in Killarney can quickly change so make sure you pack layers and wear them while out exploring. A good daypack (like this one) to put those layers in when you’re not wearing them is also helpful. The weather in Killarney might also be colder than you’re expecting, even at the height of summer. Here are a few things I alway like to stick in my suitcase when traveling somewhere with hard-to-predict weather like Ireland’s. Comfortable, sturdy shoes are a must for hiking around Killarney. My Keens have gone all over the world with me, including to Killarney, and haven’t failed me yet. 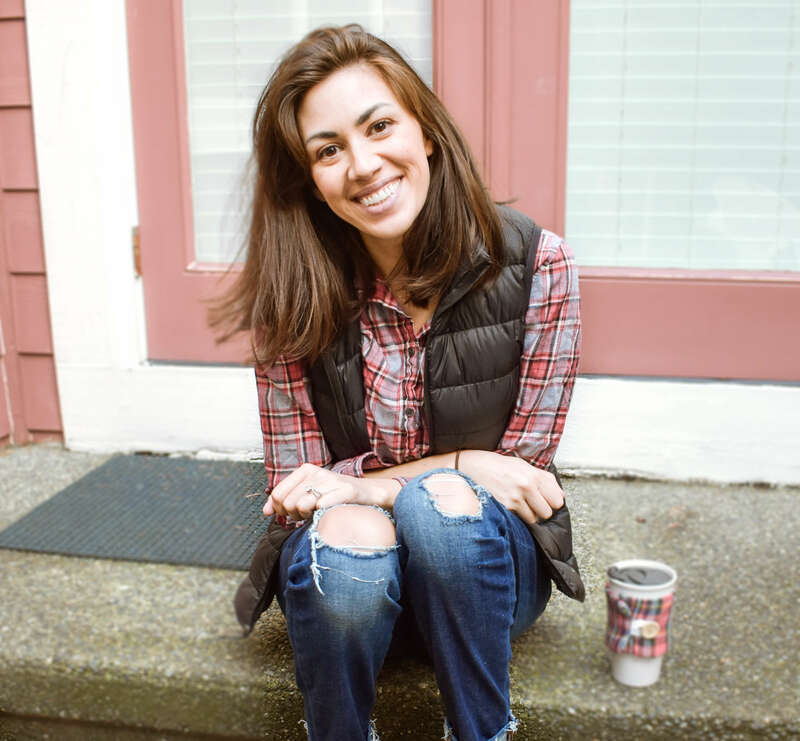 Also pack tank tops, t-shirts and athletic zip-up jackets for easy layering. I also like to bring a sports or yoga headband to easily cover my ears since they sometimes hurt when it’s really windy (which it can be in the hills of Ireland) — and when I don’t need it for that, it nicely keeps my hair out of my eyes — better for taking in those lovely views. Also, it doesn’t alway rain in Ireland and it’s actually quite sunny in the summer (with bouts of rain thrown in) so don’t forget your sunglasses either. 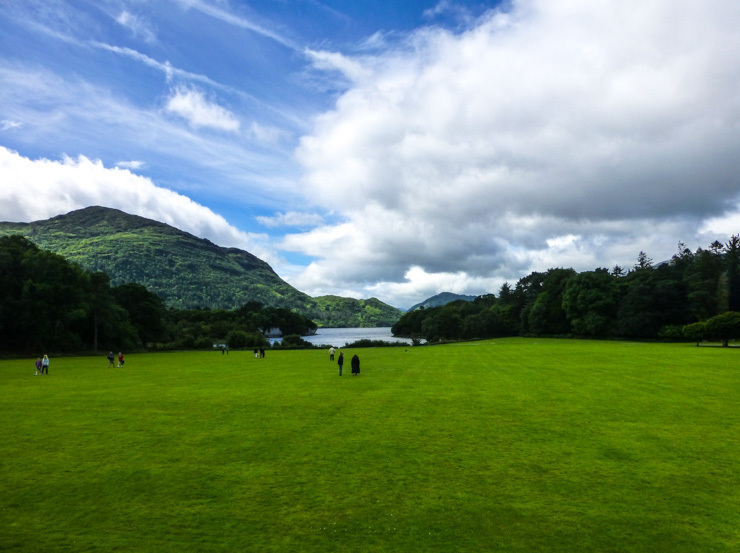 The next place you’re headed is an important part of your day in Killarney: Muckross House. Getting from Molls Gap to Muckross House is only about is only about a 30 minute drive, which means you’ll be there in no time. This is where you’ll really get a feel for just how magnificent Killarney National Park is. Muckross House is the focal point for all the magic that will happen during your day in Killarney. There’s a massive parking lot that is free and from Muckross House you can walk to two of the other major sights in Killarney. 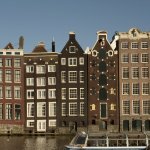 But first – more about the house itself. 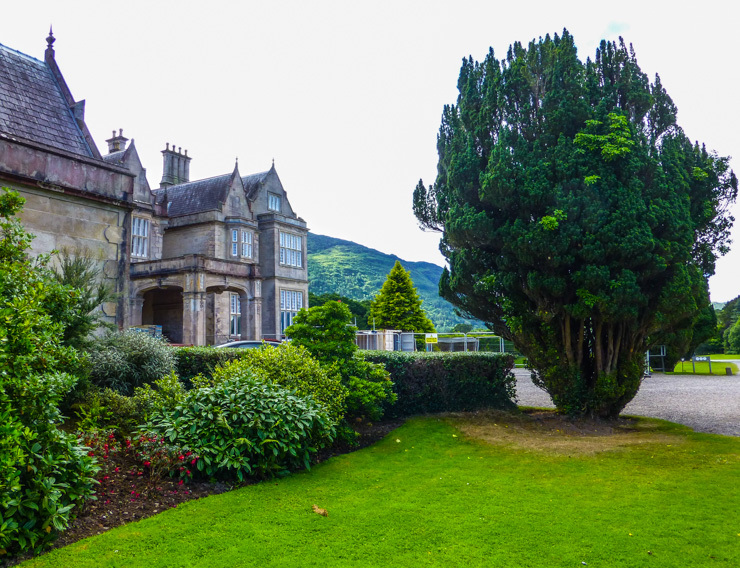 Muckross House was built in 1843 and is a beautiful example of Tudor architecture. Muckross House served as a private residence until 1932 when it was donated to the Irish nation. There is no charge to walk around the outside and through the gardens, but to tour inside you’ll need to take a guided tour, which is €9 for adults and €6 for children ages six to 18 (children five and under are free). The guided tour is an hour long and leaves every thirty minutes during the high season. On rainy days, it can book up especially quickly, so don’t delay on getting your tickets once you park your car since you can do some other activities around the grounds while you wait for your tour time to begin if you can’t join a tour right away. A small portion of the gardens at Muckross House with the greenhouse looking cafe (see the lunch section below) behind it. 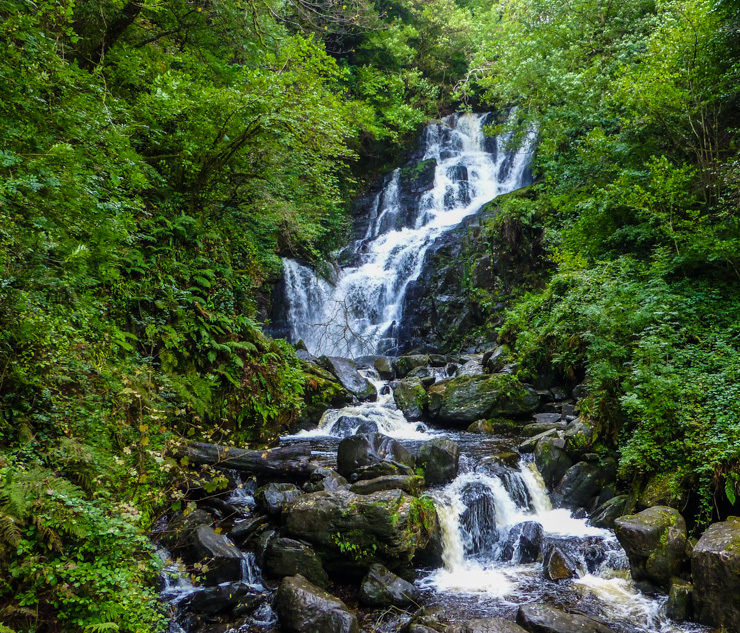 There are several trails that connect you to Torc Waterfall, but if short on time I recommend going there via the walking trail on the grounds of Muckross House. Head away from the mansion and down toward the lake and you’ll see signs for it. The lake is also nice for a quick photo stop. 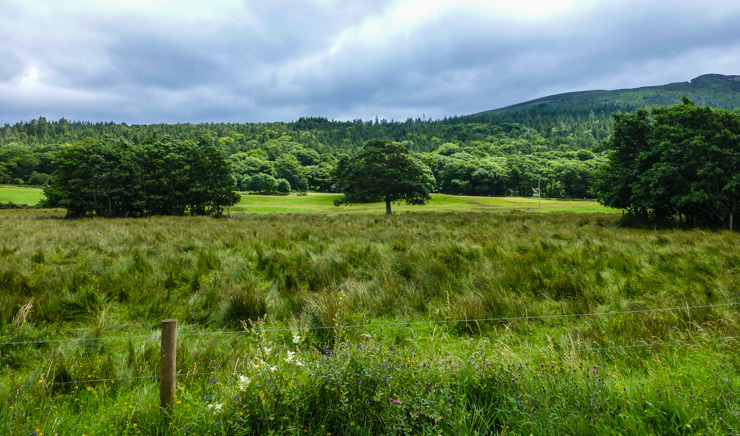 So is the valley about halfway down the trail to Torc Waterfall. The trail is about a mile and a half and takes you through wooded areas and a lovely valley. You’ll hear the 80-foot waterfall before you see it, when you’ll be presented with views like this. From Muckross House you can walk to Muckross Abbey (a little over a mile), or if you’re sick of walking by this point, you can drive your car outside the entrance. From that small parking lot, it’s about a five minute walk to the old abbey ruins and cemetery. 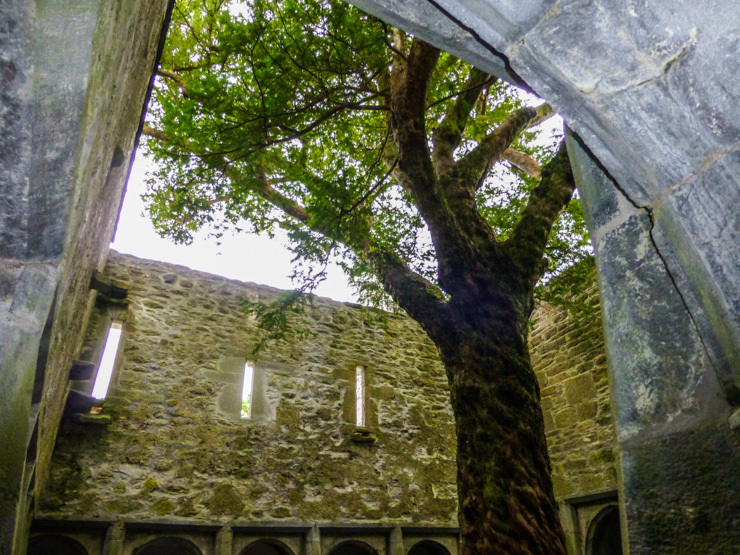 I’ve seen a lot of old abbeys thanks to studying in England for a semester back in my college days and I must say, tiny Muckross Abbey stands out, mostly because of the magnificent tree that stands in the center of it. The abbey is built around it and it provides a soothing ambiance as you travel up and down the old stone steps. 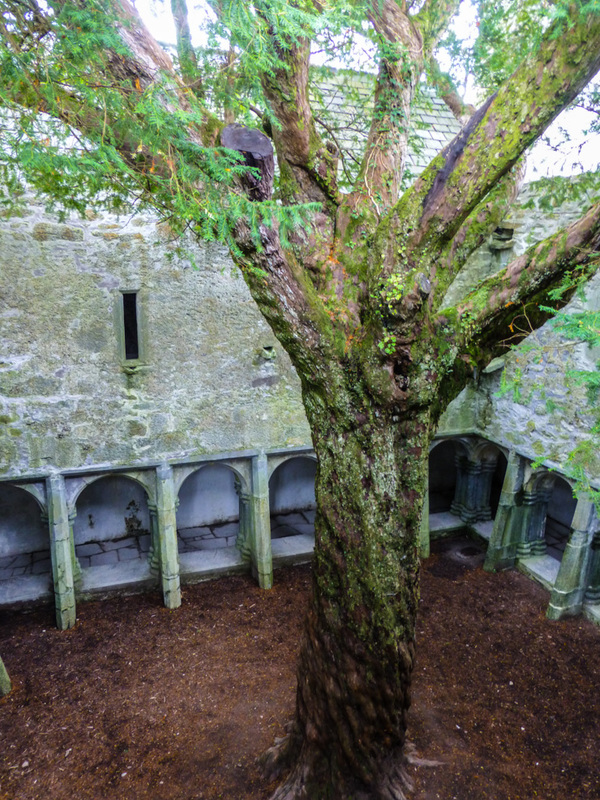 The center courtyard of Muckross Abbey in Killarney with a large tree growing in the middle of it. 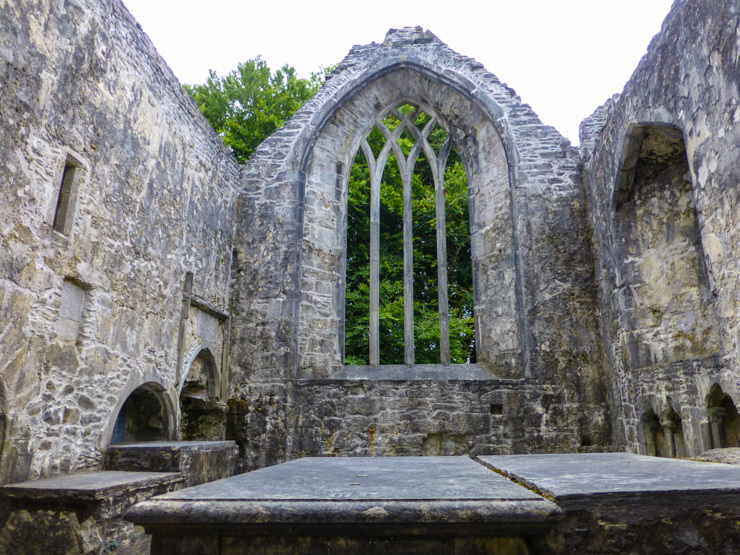 Beyond the building of the Abbey is a graveyard next to a clearing beside Muckross Lake. It has an old, though well-manicured look to it, but if you look closely at some of the gravestones, you’ll see some of the burial plots aren’t actually that old, which surprised me. I never did learn how one gets to be buried there – if you know, share with me in the comments below. If short on time, I recommend going to the café at Muckross House (I can’t attest to the food here because I just got a coffee while visiting, but it looked like there were a lot of different food options and a ton of seating) or bringing your own picnic lunch and taking it down to Muckross Lake to enjoy. After leaving Muckross House head north to Ross Castle. This site is a stark contrast to Muckross House’s stately elegance as it resembles an old stone fortress. Inside, though, the rooms are still decorated to reflect 15th century castle life in Ireland. It’s an interesting place to tour and the castle is still steeped in Irish lore which adds a fun element. 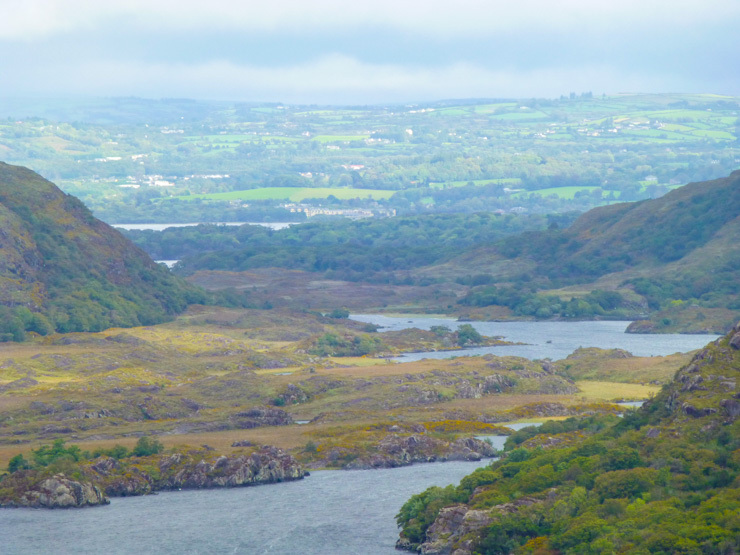 Plus, the view from Ross Castle, which is located right on Muckross Lake, is gorgeous. Tickets are €4 for a 45-minute tour. Experience the bustling vibe of the narrow streets of downtown Killarney, which is home to a number of shops and historic sites. Downtown Killarney is made up of a small grid of long, colorful buildings. There are many restaurants and shops. One shop you won’t want to miss browsing through is Aran Sweater Market in Killarney – its sweaters were so soft and pretty looking! If you’re in the mood for a pint of Guinness, head to Danny Mann Pub on New Street – I liked its cozy, yet spacious bar area. If you like historic churches, head west to St. Mary’s Cathedral located on Cathedral Place to see this impressive cathedral dating back to the 1800s. At this point, you’ve probably done a lot of walking. 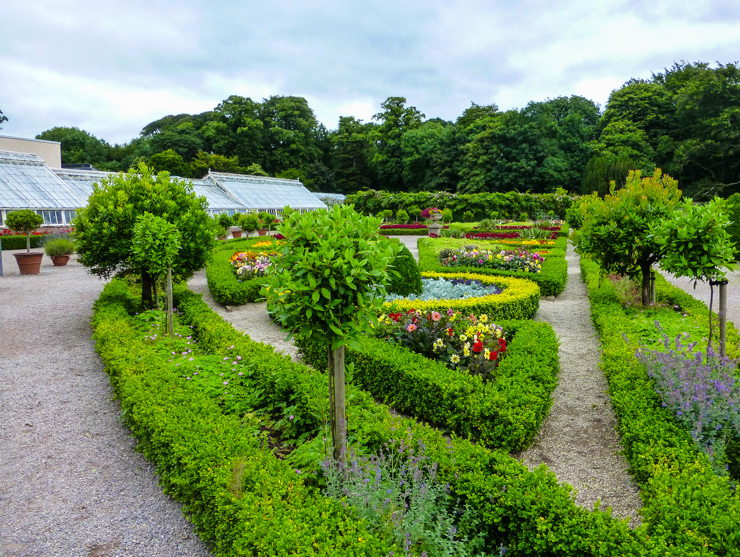 Head back to your hotel to relax for a bit before dinner (or soak in the spa pool if you’re staying at Muckross Park Hotel and Spa; more on that below). I stayed at two different places in Killarney. The first was a budget-friendly bed and breakfast that served its purpose well since I was barely there except to sleep, and I spent the other night in a luxury spa-focused hotel that was a much needed relaxing break after several days of busy sightseeing. My room at Muckross Park Hotel. I’m still swooning over those windows! The luxury hotel was Muckross Park Hotel and Spa, and I highly recommend it. In addition to opulent amenities, it was in walking distance to Muckross House and Abbey. Plus, it has an amazing spa facility with a therapeutic pool, hot tubs, steam rooms, heated loungers, and more. The spa facility is included in most room rates, though double check before booking. 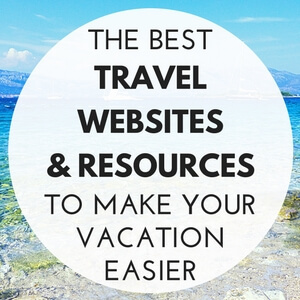 (You also get day access if you book a spa treatment.) The spa pool is a wonderful way to unwind after a day of hiking around Killarney National Park or sitting in a car driving around the Ring of Kerry. 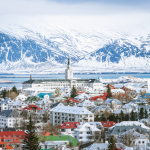 There is also an onsite gourmet restaurant and bar, which provides a convenient and upscale dining experience without having to stray far from the hotel — also nice if you’re tired after a day of sightseeing. The budget option I stayed at was Robeen House. It had a friendly, helpful owner who went over a map of the town and suggested ideas for dining and entertainment after showing us to our room. Robeen House was also conveniently located to town (less than a 10 minute walk) and had a comfortable bed and pillows in a surprisingly spacious room. Rozzers Restaurant seen through the windows, located in the charmingly cute Killeen House. As for dinner, I recommend hopping in your car and driving out to the nearby countryside of Killarney for an amazing meal at Rozzers Restaurant (click on this link to read my more in-depth review of the restaurant), located about ten minutes outside of town in the Killeen House bed and breakfast (which looks luxuriously lovely). The food is fresh and delicious, the wait staff is friendly and efficient, and the dining room feels homey and cozy, yet also stately and sophisticated. For other ideas on what to do while in Killarney, plus more dining and sleeping options, read my eGuidebook One Day in Dingle, Killarney, and the Ring of Kerry when it is released later this fall – sign up for my newsletter in the sidebar to the right and you’ll be notified of its release, plus you’ll get other helpful tips for maximizing your vacation when short on time. 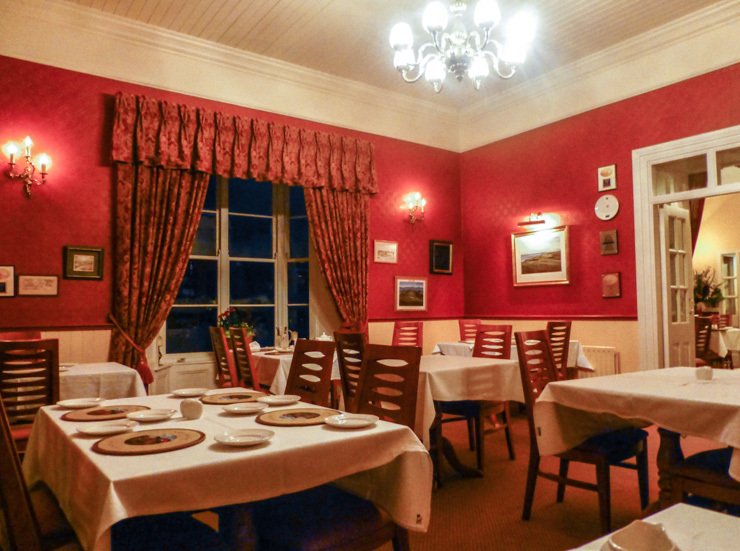 Note: I was provided complimentary accommodation at Muckross Park Hotel and Spa, and a complimentary meal at Rozzer Restaurant, but — as always — all opinions are my own. 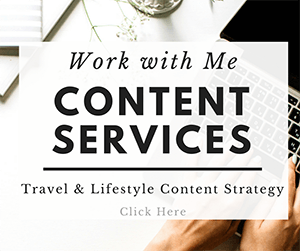 There was a reason I wanted to partner up with those two brands, and they didn’t disappoint! A fair assessment of Killarney inspite of one day in Killarney, but what a shame. 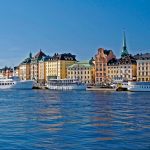 There is so much more to the area if you are prepared and able to go off the beaten track. I’m fortunate to live just 20 miles from there just over the Cork/Kerry mountains and I regularly explore the area, shop there and hill walk (an odd expression for a mixture of mountain walking and climbing). My husband loves the fishing and we often take the horses over to ride out, both of these options are available to visitors too. If you are able to take the time and go at Irish pace talk to a native, preferably of middle years or more and they will gladly point you in the right direction of the real beauty and jewels of the area, the real Ireland visiters rarely see. 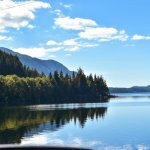 Where can you fish in Killarney? We are visiting in October and I know my boyfriend would love to be able to fish. Any information would be greatly appreciated! 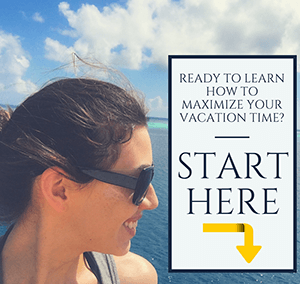 Hi Juli – any specific recommendations? 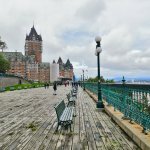 My husband and I are heading there next week for our delayed honeymoon and would love some direction! We are only in Killarney a short time before we make our way north to Galway. My husband is an avid fly fisherman and wants to fish when we are in Ireland in September- do you mind providing some recommendations please!! 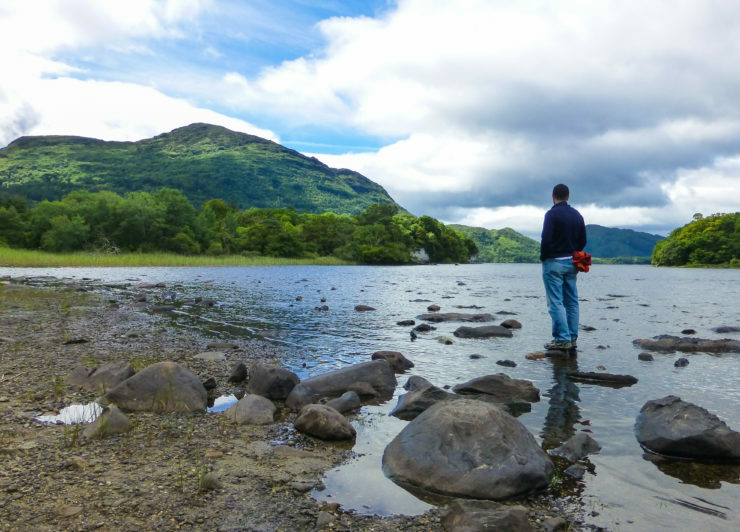 This post was so helpful for planning my day in Killarney National Park – thank you! 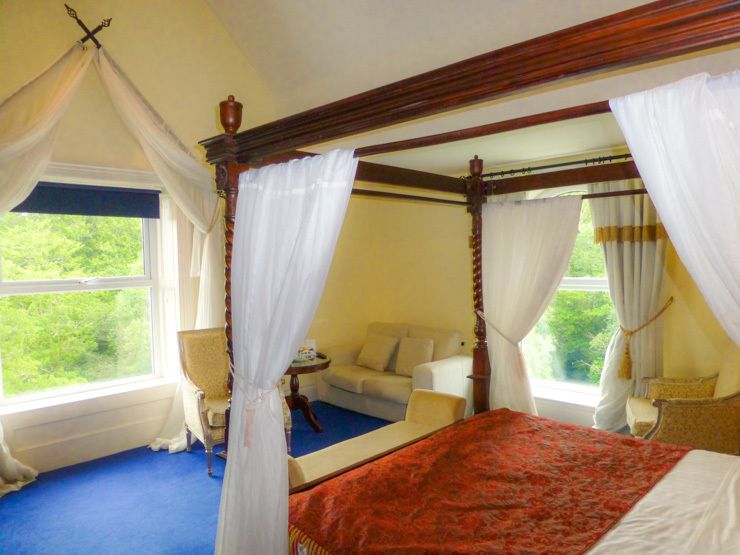 Looking forward to staying at Muckross Park Spa next week 7/15, will let you know how we liked it! Hi Jodi, hope it was an amazing time! I loved staying there and would love to hear how your stay went!